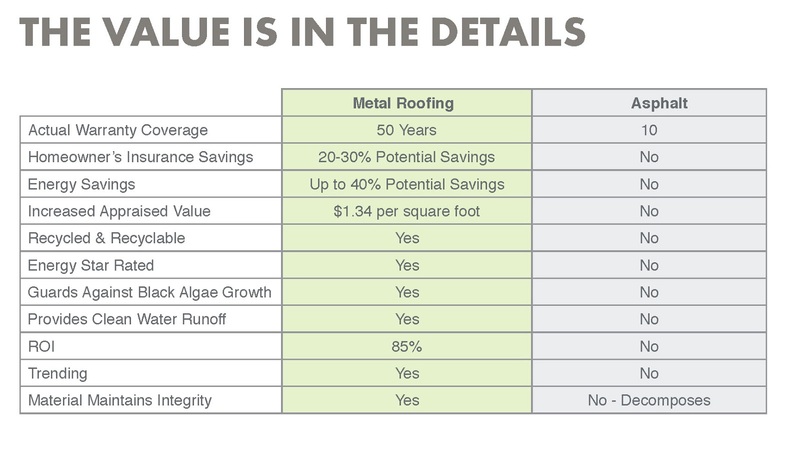 From The Roof Down In Residential Renovations: Just the Facts About Metal Roofing! 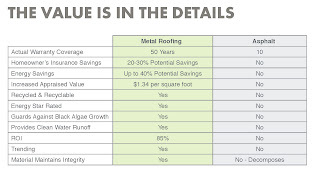 Just the Facts About Metal Roofing! A big percentage of the costs can be recouped, especially if you plan on staying in your house for a long time or selling it. Yes the next owner will not need to ever replace the roof either. While asphalt roofs will likely need replacing every 7-15-20 years, a metal roof can last a lifetime. Therefore, when choosing a roof style the next time consider a metal roof over an asphalt roof!